The removal of the frenum of the lips is called frenectomy. This surgical procedure is mostly performed in the upper lips. A frenum that is attached to the top of the alveolar crest could cause diastema and orthodontic problems. That is why a frenectomy should be performed. In these cases it is called a labial frenectomy. Pathogalvanism is a dental condition that arises if the patient has a lot of metal constructions in his mouth. The dental implants are devices made of titanium that resemble the tooth anatomy. They support the dental restorations and are meant to replace the missing teeth. They can support restorations like complete and partial dentures, crowns and dental bridges, can also be used as a part of the orthodontic treatment. All the dental implants are designed to resemble the roots of the teeth. They are also called endosseous implants since their purpose is to integrate in the mandibular or maxillary bone structure. The metal that they are made of is titanium. This metal is very good accepted by the body and does not cause any allergic reactions. 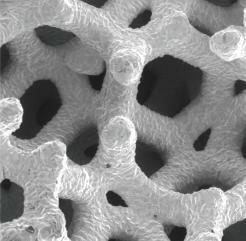 It allows the bone tissue to grow around the titanium post and integrate with the bone structure – osseointegration. This term refers to the fusion of the implant surface with the surrounding mandibular or maxillary bone. Except the root-form implants we have described there are several other type of dental implants. However they have plenty of disadvantages compared to the regular endosseous implants. 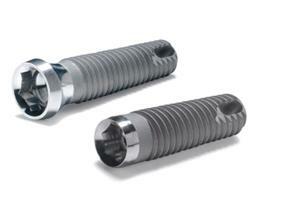 These are blade endosseous implants and subperiosteal implants. 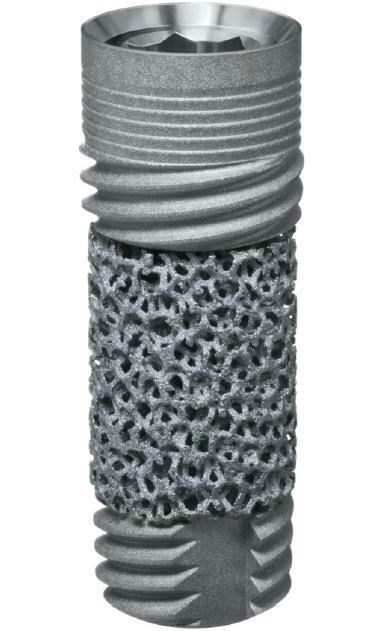 The first type of implants have the shape of a flat blade and the second type are placed uder the periost of the bone – a framework that is attached to the bone surface connected with titanium screws. What are the dental implants made of? Some of the dental implants are made of pure titanium but in the past several years dentists have upgraded the mechanical qualities of the material by adding two additional metals to form the perfect alloy – aluminium and vanadium. This is the so called Titanium 6AL-4V alloy containing 90% Titanium, 6% Aluminium and 4% Vanadium. The osseointegration of the dental implants Ti-6AL-4V is the same as the ones made by pure titanium but the qualities of the both materials deffer. These made by Titanium 6AL-4V alloy have higher tensile strength and fracture resistance which is more important considering the functionality of the implants. 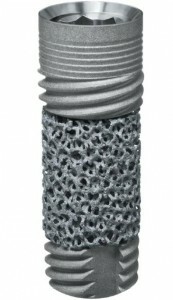 The osseointegration potential of the dental implants can be upgraded by increasing the surface of the implant by sandblasting or adding additional structures that increase the surface(that’s why the root-form dental implants look like screws – in order to increase their surface and achieve better osseointegration and fracture resistance). Other ways to improve the osseointegration of the implant is etching, plasma spraying and anodizing.